Our shops survey found only two examples of ‘Boys toys’ and ‘Girls toys’ signs in stores (both in Tesco, who no longer use these signs, so we hope these will be removed soon). Essentially, four years after our 2012 survey found 50% of stores using them, we’re thrilled that these signs have pretty much disappeared. The use of boy/girl options to navigate online toy stores is also on the way out. Our research this year found a drop of over 70% since 2012, with only 21% of online stores having any gender filters at all. Encouragingly, we’ve seen other signs that toy retailers are taking seriously the need to market toys inclusively, and allow girls and boys to choose their interests for themselves. 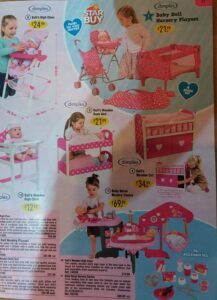 Smyths Toys ‘If I were a toy’ ad caused a bit of a stir this year by including a boy playing at being ‘queen of the land’. Tesco’s Christmas toy ad includes girl toy testers zooming around with cars and helicopters and a boy dancing with an interactive furry toy. New online ads from Chad Valley (Argos own brand) show boys and girls playing together with a vehicles playset and a doll’s house. 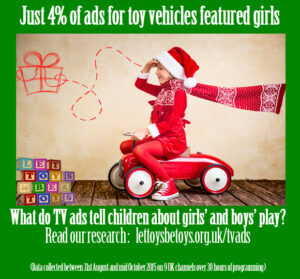 This i s a real contrast with the findings of our toy ads survey last year, with manufacturers’ own ads showing children playing in highly stereotyped ways. Boys and girls were rarely seen playing together in the TV commercials. No boys were shown playing with dolls, and out of 25 ads for toy vehicles, only one included a girl. Our research this year shows that the promotional images provided by manufacturers show children’s play in a stereotyped way. Girls were twice as likely to be shown with household toys, and more than five times as likely to be shown playing at caring or nurturing, such as with a doll. Boys were twice as likely to be seen playing with construction toys, and sixteen times more likely to be shown with toy weapons or war/soldier toys. 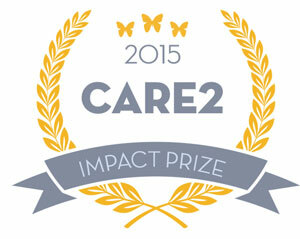 It’s not hard to do better, and again, retailers are demonstrating how. 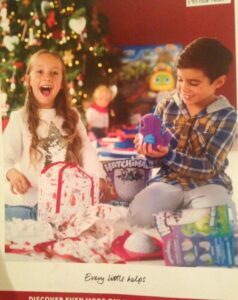 For example, Tesco’s own photography for their catalogue covers shows boys and girls together, playing in less stereotyped ways. Back cover of Tesco’s 2016 toys catalogue. While our toy store survey found almost no ‘Girls toys’ and ‘Boys toys’ signs, stores are still full of messages that tell shoppers which toys are for girls and which for boys, through colour, placement and other cues. While there’s more that retailers can do, a lot of this is down to the manufacturers. It struck me that it can be quite hard for large toy stores to avoid looking a bit like there are ‘girl’ aisles. If you organise toys in categories such as pretend play, construction, vehicles, arts and crafts… then you’re likely to get aisles which at a glance look predominantly pink. The majority of dolls houses, doll prams, accessories, and arts and crafts sets have packaging which is shades of pink and lilac and the majority of boxes for construction toys and cars are yellow, red, black or green. So you end up with ‘pink’ aisles and darker, multicoloured aisles. Toy retailers are making real progress in letting toys be toys and leaving children free to choose their interests for themselves – it’s time for the rest of the toy industry to apply some creativity to how they develop, present and promote toys, and stop pushing the same tired old stereotypes. Removing stereotypical colours would be a huge move forward. Even as a grown woman enjoying a unisex sport like skiing, our toys (equipment) is still predominantly pink/turquiose and lilac. Perhaps if the toy industry led by example other industries would follow suit. While I’m considering gender for anthropology and covering the media aspects of play, I remembered about something I read a while back about colour preferences of males and females. I would like to also suggest that just because something is pink, it doesn’t mean its not attractive to males. Just because something is pink doesn’t mean a girl will play with the object. I preferred to play with cars and make dens over playing with dolls. Altho I do now have a slight pink and sparkly obession!